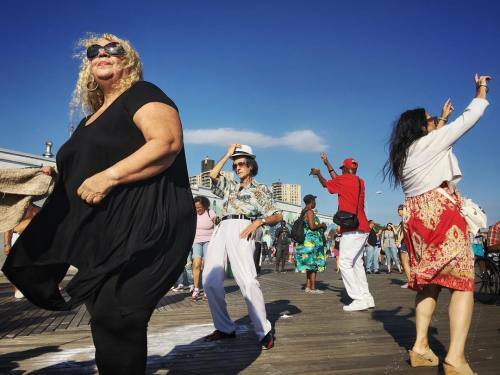 The Coney Island Dancers troupe take over the beach boardwalk for a dance fest during the last weekend of the summer. The files are super large and crisp and I can't wait to shoot more. Stay tuned for a variety of images that I shot this week. #photojournalism #documentary #reportage #streetphotography #iphone6s #iphone6splus #apple #dance #nyc #newyorkcity #coneyislanddancers #danceparty #coneyisland #brooklyn #kindofawesome" By benlowy on Instagram.